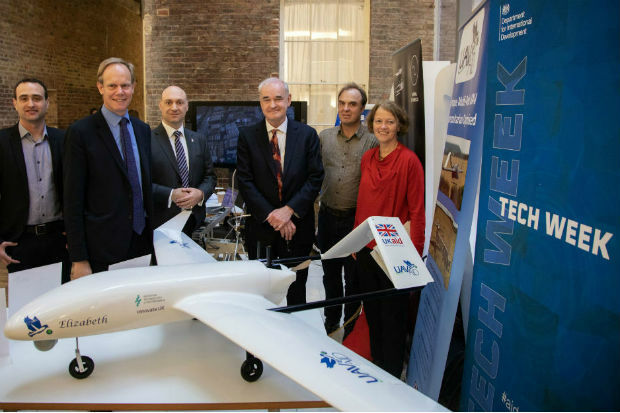 From left to right, Dr Gavin Smith (N Labs), Matthew Rycroft CBE, Daniel Ronen (UAVaid), Dr Joseph Barnard (Barnard Microsystems Ltd), Alex Caccia (Animal Dynamics), and Prof Charlotte Watts beside a prototype of an aid-delivering drone at DFID in Whitehall. I agree with the general direction and content of this piece. One other key element before we wade into technology solutions for business problems is the legal basis for processing personal data. Currently the business is in the habit of coming to this aspect last sadly. Completion of a Data Privacy Impact Assessment early in the process will help to focus minds in this space. Thanks for a useful article. Generally I also agree, However I do feel working in customer service centre, that we can sometimes put customer needs ahead of what can be achievable with current tech. Yes, we must definitely need to focus the end customer, however we are also internal customers and unless there is a flow in tech and processes all the good will in the world will not achieve the end goal. We need robust user friendly systems that are joined up, this also applies to departments and processes. Presently we are using both old archaic systems along with new systems for processing, this ends up with a duplication of processes that could and should be more streamlined and easier to action. While security and data protection are important the need for multiple passwords for multiple systems and drawn out access requests to other systems often do get in the way of this flow. Multiple passwords, multiple systems timing out, system crashes etc. Technology must also work for the people using the technology to enable them to maintain a quality end product with minimal resources. I look forward to when this will be a reality. P.S, I may rue the day I said that because if it does become a reality things will be so streamlined that I may no longer be required anymore.